Keith Haring was born on May 4, 1958 in Reading, Pennsylvania. He developed a love for drawing at a very early age: in 1976, Haring enrolled in the Ivy School of Professional Art in Pittsburgh, a commercial arts school. In the 1978 Haring moved to New York City and enrolled in the School of Visual Arts (SVA). In New York, Haring found a thriving alternative art community that was developing outside the gallery and museum system, in the downtown streets, the subways and spaces in clubs and former dance halls. Here he became friends with fellow artists Kenny Scharf and Jean-Michel Basquiat, as well as the musicians, performance artists and graffiti writers that comprised the burgeoning art community. In 1980, Haring found a highly effective medium that allowed him to communicate with the wider audience he desired, when he noticed the unused advertising panels covered with matte black paper in a subway station. He began to create drawings in white chalk upon these blank paper panels throughout the subway system. Between 1980 and 1985, Haring produced hundreds of these public drawings in rapid rhythmic lines, sometimes creating as many as forty “subway drawings” in one day. The subway became, as Haring said, a “laboratory” for working out his ideas and experimenting with his simple lines. Between 1980 and 1989, Haring achieved international recognition and participated in numerous group and solo exhibitions. His first solo exhibition in New York was held at the Westbeth Painters Space in 1981. In 1982, he made his Soho gallery debut with an immensely popular and highly acclaimed one-man exhibition at the Tony Shafrazi Gallery. During this period, he also participated in renowned international survey exhibitions such as Documenta 7 in Kassel; the São Paulo Biennial; and the Whitney Biennial. Haring completed numerous public projects in the first half of the 80’s as well, ranging from an animation for the Spectacolor billboard in Times Square, designing sets and backdrops for theaters and clubs, developing watch designs for Swatch and an advertising campaign for Absolut vodka; and creating murals worldwide. During a brief but intense career that spanned the 1980s, Haring’s work was featured in over 100 solo and group exhibitions. In 1986 alone, he was the subject of more than 40 newspaper and magazine articles. He was highly sought after to participate in collaborative projects ,and worked with artists and performers as diverse as Madonna, Grace Jones, Bill T. Jones, William Burroughs, Timothy Leary, Jenny Holzer, Yoko Ono and Andy Warhol. 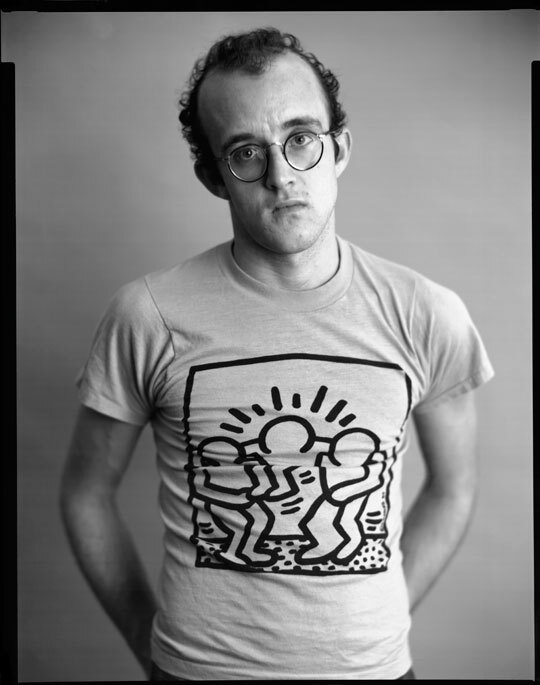 Keith Haring died of AIDS related complications at the age of 31 on February 16, 1990. Since his death, Haring has been the subject of several international retrospectives. The work of Keith Haring can be seen today in the exhibitions and collections of major museums around the world.